Naturally Nepal " Once is not Enough "
Yes we would like to welcoming to all visitors to visit Natural Nepal and celebrate different special occation around the Himalaya. 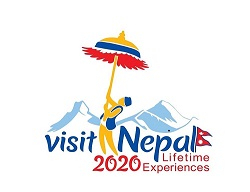 Nepal Governmnet is going to celebrate visit year 2020. Wish all visiter able to manage time for a wonderful holiday around the Himalaya of Nepal. We are Advent Himalaya Treks organizing new trek to new desnitainon in to Nepal. There are many different ways to trek in to Nepal. We can work for your incredible holidays.